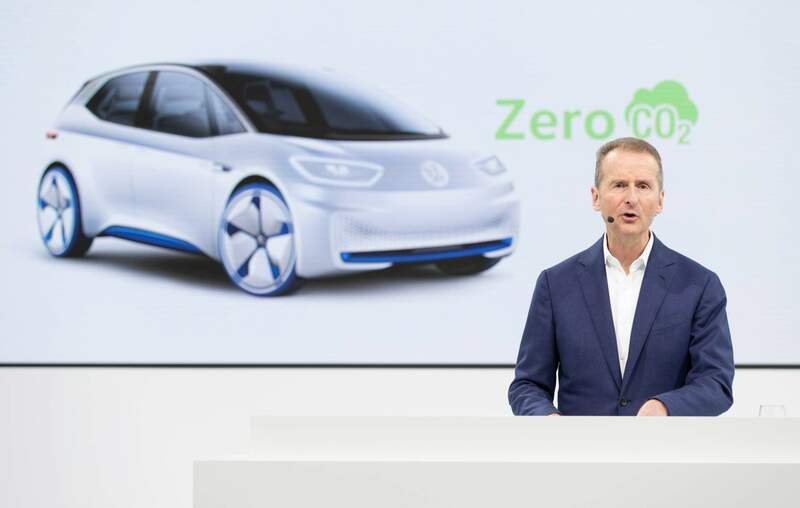 Volkswagen Group’s highly ambitious plan to launch 50 new electric models by 2028 has just become even more ambitious. 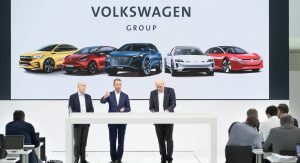 At the annual media conference of Volkswagen AG (which you can watch in full in the video below), the company has announced it will bring to market almost 70 new electric models in the next ten years. 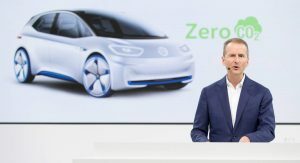 As a result, the projected number of vehicles to be built on the VW Group’s electric platforms will increase from 15 million to 22 million. 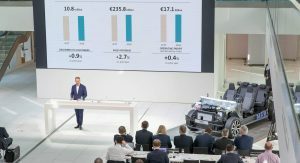 The company will invest more than €30 billion ($33.7 billion) by 2023 to electrify the vehicle portfolio. By 2030, VW forecasts EVs will make up at least 40 percent of its Group fleet. 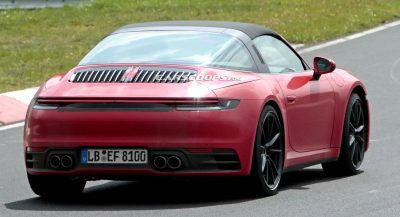 The first of the new-generation electric vehicles go into production this year: the Audi e-tron and the Porsche Taycan. 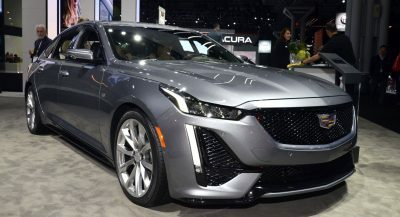 They will be followed by the Volkswagen ID hatchback, VW ID Crozz, Seat el-born, Skoda Vision E, VW ID Buzz, and VW ID Vizzion. 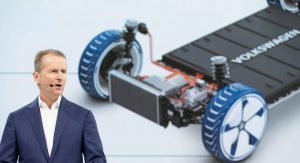 For this massive electric offensive, the VW Group will rely on LG Chem, SKI, CATL, and Samsung as strategic battery cell suppliers. The automaker is also looking at possible participation in battery cell manufacturing facilities in Europe. The company sees great potential in solid-state batteries and aims to enable an industrial level of production with this technology together with QuantumScape. 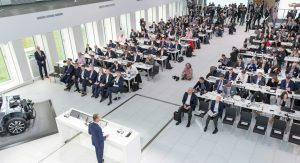 VW has also signed off a comprehensive decarbonization program aimed at achieving a fully CO2-neutral balance in all areas from fleet to production to administration by 2050. The company says this shows its full commitment to the Paris climate targets. 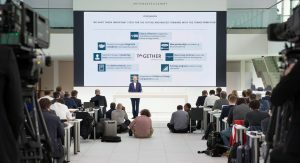 “Volkswagen is seeking to provide individual mobility for millions of people for years to come – individual mobility that is safer, cleaner and fully connected. 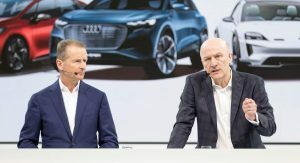 In order to shoulder the investments needed for the electric offensive we must make further improvements in efficiency and performance in all areas,” said Dr. Herbert Diess, CEO of Volkswagen AG. What that means is significant challenges lie ahead. 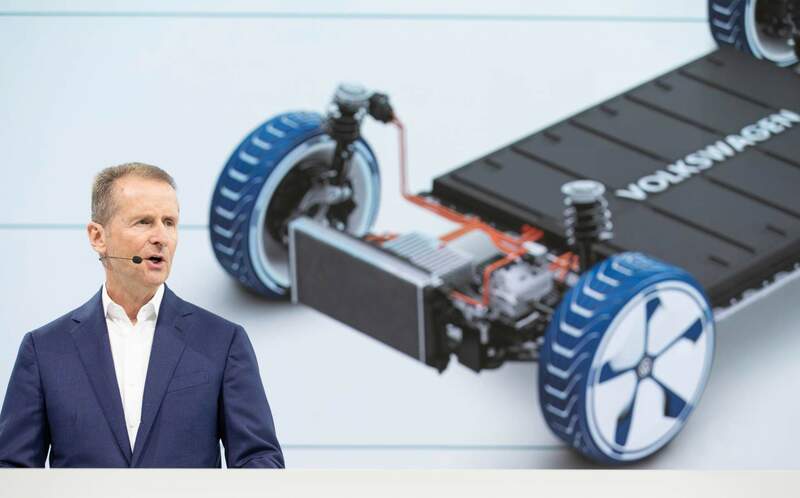 On the road to complete decarbonization by 2050, VW will adopt three principles: effective and sustainable CO2 reduction, switch to renewable energy sources for power supply, and compensation for remaining emissions that cannot be avoided. For 2025, the target is to reduce the CO2 footprint of the vehicle fleet by 30 percent across the lifecycle compared to 2015. At the same time, the goal is to cut CO2 emissions at all plants 50 percent by 2025 compared with 2010. They’ve been yakking about this for 4 years now and not 1 production model in stores yet. Not that this is a bad thing – last thing we want is to go from a 600 miles range TDI to a 200 mile range sled with poor heating. Audi e-tron is the first one, plus they have e-Up which I think sells just fine. But in general I’ve got your point. Compliance car to get ZEV credits. It’s nothing. They’ve been talking about it for years but when they will actually start, they will go big. For such big concern as VW, preparations are taking years to make it proper. It’s not a start-up to burn investors money on every step. VW group are just a bunch of followers. 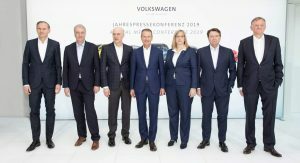 They did once try to lead, then dieselgate happened. Is this similar to how they said they would be selling 800,000 vehicles a year in the US? WE SOMEHOW MANAGE TO FIND ELECTRICITY FOR THE SMARTPHONES LITTERING SOCIETY. That’s like saying we have enough water for our indoor plants, so let’s leave all the water taps constantly opened. Typical phone with a 3000 mAh, 3.7 V battery has a capacity of around 11 Wh. Smallest battery in model S has a 75 kWh battery capacity, that’s around 6800 times more. Additionally, it is already a problem in some cities (in northern europe I think) to charge many cars at once, because the existing electric grid system is not ready for that and there is not even enough electricity. It’s not like we have so many power plants of various kinds, that they can suddenly support tenths of thousands of electric cars without problems. And the infrastructure to charge them is also laughable. The currents needed for fast charging let’s say ten electric cars at one place (one charging station) are absolutely crazy and it is simply not possible to do. And I hope it’s clear that 10 cars per charging station is far from enough if the electric cars should really become standard. All this is why they will never be for everyone, but somehow most people think it will be the same as with gasoline/diesel cars and everyone will happily drive in a future on electricity instead. I DON’T THINK ANYONE EVER SAID THEY WERE FOR EVERYONE. DIESEL ISN’T FOR EVERYONE BUT IT IS/WAS AN ALTERNATIVE. NO ONE IS BEING FORCED TO BUY AN EV. THIS IS HAPPENING GRADUALLY AND AS MORE COME ONLINE THE POWER COMPANIES WILL FIGURE OUT HOW TO SUPPLY THE POWER. No the power companies will not figure it out. There are no feasible plans to replace all the energy from oil with something else, much less green… So, by saying that electric cars will not be for everyone, I meant that only wealthy people will be able to have a personal car and the rest will have to rely on public or other types of transportation. Something similar to early days of cars, but with no horses, multiple times more people, but of course, some types of overcrowded public transportation. However, most of the people will be forced to live within reasonable (e.g. walking) distance to work or other important locations and without personal car. And people today are arguing over acceleration times and range, because no one thinks behind next five years. It’s not a promise, it’s a threat. Oh good lord. 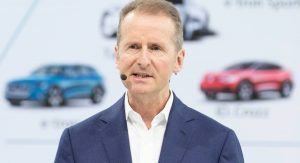 VW is actually planning to become the GM of of the EV industry… flooding the market with mediocracy in all shapes, sizes and brands. 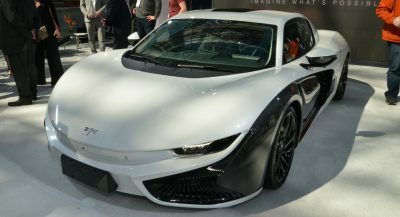 I have no doubt that they can make a good looking EV. 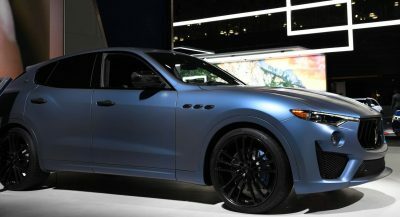 But they haven’t shown that they are capable of making one that’s actually better than what’s been on the market for seven years. 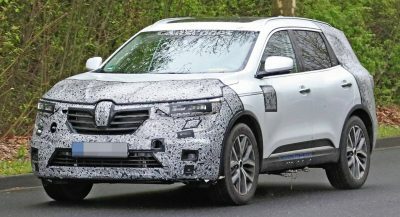 I would be happy if VW made one excellent vehicle that was substantially better and more efficient than the obvious benchmark. Very impressive. They are planning to rent a large number of airfields around the world, where they will store all these cars after they produce and flood the market with them, because there is one really small issue, in the last 8 years sales have increased to almost nothing for EV’s and in the next eight years it is unlikely that there will be 22 million customers for these cars, especially not a VW version. Big talk but they rarely deliver on their plans, if ever, so this is just more politically correct statements to try to distract from their lying with diesel-gate. Really, anyone believe this dribble! World vehicle numbers expected to double in the next 15 years. 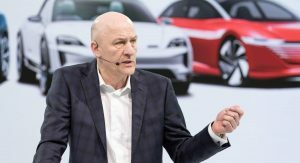 VW producing 22 million EVs by 2028, up from around 11 million ICs ,is not unexpected. I am more concerned with the doubling of vehicle numbers. Likely to get even worse if fully Autonomous vehicles are available. Why use public transport when your home away from home is just a “phone”call away. Decked out with the latest entertainment equiptment. “Windows”that display any scene you desire. Refigerator and anything else can think off. And best of all, no smelly, irritating people on unreliable, uncomfortable, public transport to worry about. whilst there is a mega dose of marketing involved here, partly fuelled by the need to distance themselves from diesel-gate, there is no denying that electrification is the way forward. 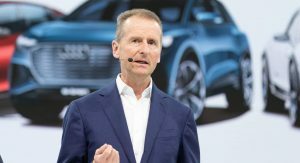 for a giant like VW to make such a significant shift, on the scale that it needs to do it, this does takes time and money… it’s not just talk. It is the way forward because they will be bankrupt if they don’t comply with current and future emission regulations. This isn’t out of altruism or a desire to do good, but out of necessity. Oh, ok… because VW are the only ones focusing on electrification. Sure. 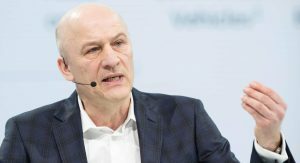 They’re not, but their business in the EU is the primary driver of their move to electrification, as it is with all companies competing in that market. There is no future in Europe without electrification. Agree, and nothing wrong with that. Europe might lead, but world will follow. Electrification is not just a trend, it’s a movement. I think this is really cool, but I don’t think they’ll be able to do it without the EU finding better energy sources – than wind, solar, coal, etc. – to power this EV future, and the infrastructure necessary to deliver that power. Maybe 2030 and beyond would be a better timeline. Currently 80 plus million vehicles a year, and growing, being made and over 1.2 billion on the road. Estimated around 2 billion vehicles by 2035. VW currenlty produces around 11 million a year. So producing 22 million EVs by 2028 is essentially only trying to keep up with market trends.